Gunnison County is taking issue with the preliminary environmental assessment (EA) released by the Bureau of Land Management (BLM) for a December oil and gas lease sale. The sale includes significant acreage in the Upper North Fork Valley that also lies within Gunnison County and supplies water for downstream food-producing farms. In both a public meeting on September 4 and via written comment to the BLM, the Board of County Commissioners raised concerns over the agency’s disregard for the county’s previous comments on the proposed lease sale as well as new concerns with the EA. In July, the County submitted comments to the BLM that, among other concerns, questioned the economic need for these types of leases. After reviewing the newly released EA, the County found it to be potentially “factually and legally inaccurate,” according to deputy county attorney, Matthew Hoyte. As a result, the county is urging the BLM to select a “no action” alternative to the proposed lease sale within Gunnison County. The county outlined those inaccuracies in its most recent comments to the BLM, including not providing Gunnison County and citizens reasonable opportunity to comment on the EA; the EA’s statement that “Federal lands and minerals” are not subject to Gunnison County regulation; the EA’s lack of consideration of an economic need for additional drilling in the North Fork Valley; and the EA rejecting the need to update the 30-year-old Resource Management Plan (RMP) prior to the lease sale. Messner was particularly concerned by the BLM’s suggestion that Federal lands and minerals are not subject to local control. “The fact that they clearly indicate that they do not agree that we have the ability to implement control is not only frustrating, but it’s just scary,” he said at the September 4 meeting. He later commented on numerous leases within the county, of which only a few have actually been drilled. The commissioners and staff also questioned the assertion that updating the RMP is unnecessary. The RMP includes management information for over 675,000 acres of BLM lands and 971,220 acres of federal mineral estate. The RMP in use was created in 1989, and the BLM is currently in the process of updating the document. The comments the county submitted to the BLM this week articulate these concerns in detail and with specific court cases that support the county’s stance on these issues. To the point of county authority over regulation of oil and gas, Barangan repeatedly iterated “leasing federal lands and minerals is a federal decision. BLM appreciates the input of local and state government as part of the BLM’s decision making process.” Barangan also noted “the new national leasing policy guidelines is intended to simplify and streamline the leasing process,” regarding the short review and public comment period. In terms of his opinion on the preliminary EA, Reed says, “It’s the sloppiest I’ve seen in my eight years working in the environmental field. It ignores comments submitted by the Town of Paonia, local conservation groups, and dozens of individuals. The EA is clearly a rush-job, and the result is that local input is not addressed and analysis of impacts is deficient or nonexistent.” Reed and HCCA are calling on the BLM to withdraw the leases. 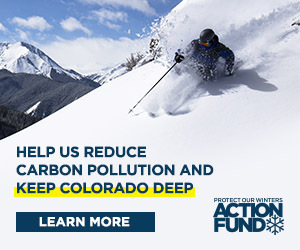 According to a press release from the State of Colorado, senator Michael Bennet and governor John Hickenlooper submitted letters to the BLM on Tuesday reiterating local concerns around the lease sale, particularly the lack of public participation and local input with the short, 15-day public review and comment window. Both individuals are urging the BLM to defer the lease sale, noting the proximity of the parcels to wildlife corridors, agricultural areas and valued landscapes.